The call for El vídeo del minuto 2017 is an initiative of Drac Màgic and currently called by TRAMA nationwide, invites all women to record in audiovisual format those aspects of their reality that mean them as subjects. We’re talking about audiovisual pieces of one minute length, realized without a cut, whose main topic for the present call is: TRÀNSIT. 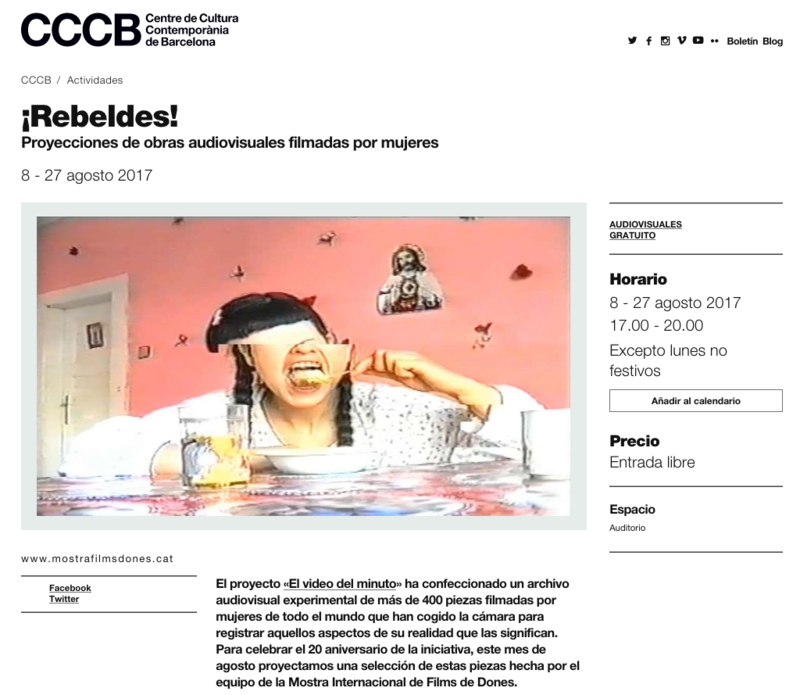 The call for this year aims to focus on the debate of mobility of the configurations that build and deconstruct the rebellion against clichés, vital, cultural and symbolic transitions, travel, displacement, sexual identity, dystopia between gender and the imaginary of feminism in transit and the metamorphosis of bodies. The selected piece was shot in 4:3 format with an old Sony Handycam. The main purpose of this video was to dive into the idea of the roots, in a metaphorical way. I’ve recently moved out from my hometown and I’m currently seeking and adjusting into my new place. This feeling of changing from one piece of land to another, is what gave me the idea to conceive this piece.